One of the best-paid German journalists in the 1920s, Kurt Tucholsky was the canary in the coal mine of the Weimar Republic. His ire targeted the revanchist military, unreformed judiciary, cowardly government, and accommodationist politicians (namely, Social Democrats), whom he vilified as intellectually pedestrian and petty bourgeois, accusing them of turning a blind eye to the dangers of the political right. Most of his commentary was unabashedly political, and his cultural criticism was only slightly less so. Among his favorite targets were the bourgeois, for whom he felt a visceral disgust, ... Cursing both houses, Tucholsky charged that the cowardly, avaricious middle class, fearing a left-wing revolution, invited the right-wing dictatorship and were happy to “bear all the burdens as long as they are allowed to make money. The timing of this book’s publication is fortuitous. 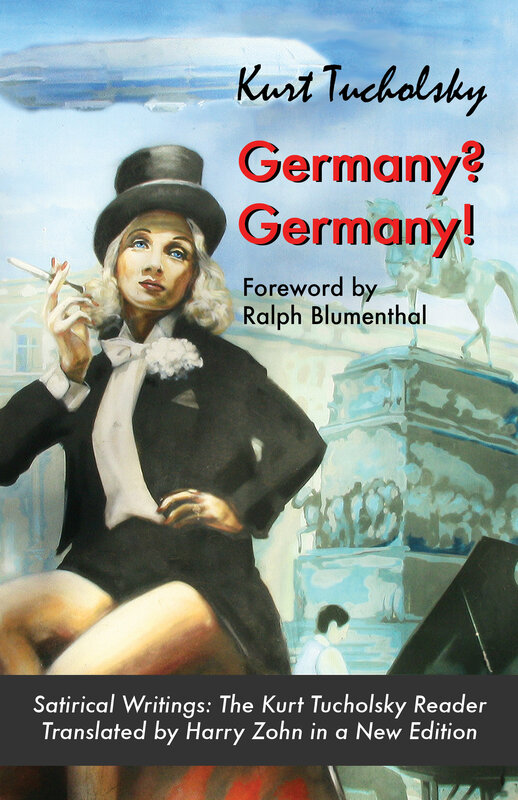 It allows readers to reflect on disturbing parallels between Weimar Germany and the politics of 21st-century Western states, for instance: the success of populists; the unbridgeable gap between the “deplorables” and intellectuals writing in elite publications; and the failure of the political left to translate analysis into winning tactics. And that’s just the beginning. Many of Tucholsky's aphorisms, observations, and formulations are timeless. More than a few are thankfully included in Germany? Germany! For instance, in “How to Travel Wrong,” Peter Panter asks and answers pithily: "Don’t have a consideration for your fellow travelers; they would interpret it as weakness. Be unfriendly in general; this is the hallmark of a man […] When you are amused, laugh — and so loud as to annoy those stupid other people who don’t know what you are laughing about. If you don’t speak foreign languages very well, then shout: this will make them understand you better." The book is for sale in bookstores and online, also as an ebook. Booksellers can get it from IPG/Small Press United in Chicago.